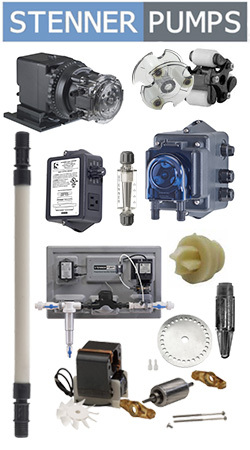 Want Easy, Reliable Access to Stenner Pumps in Canada? Same Day Shipping on all Orders Placed Before 3pm Eastern Time. Stenner Peristaltic Metering Pumps are based on a simple, well-engineered design that minimizes complexity and delivers reliable performance. The time-tested design is renowned for consistent Quality and Ease of Service, which increases dependability for users while reducing service time and expense. Reliability comes from within and Stenner manufactures from raw goods to final assembly, producing the majority of our product in-house. By controlling the processes, we can control inventory and quality issues at the time of manufacture and maintain a three day lead time.